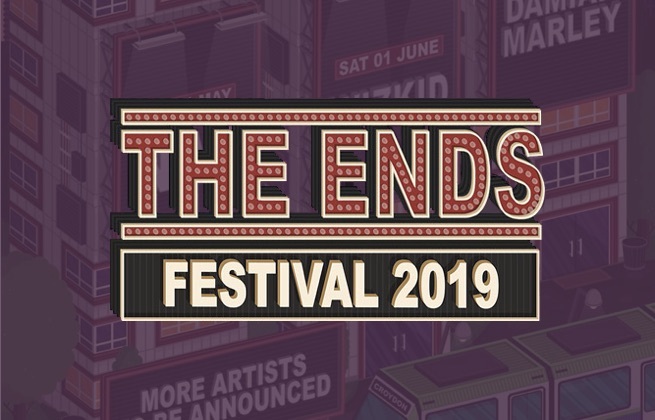 This ticket allows general admission access for all 3 days of The Ends Festival 2019. Under 16s must be accompanied by an adult. This ticket allows general admission access for The Ends Festival 2019 for Friday only. Under 16s must be accompanied by an adult. This ticket allows general admission access for The Ends Festival 2019 for Saturday only. Under 16s must be accompanied by an adult. This ticket allows general admission access for The Ends Festival 2019 for Sunday only. Under 16s must be accompanied by an adult. 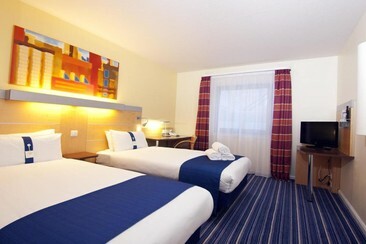 Holiday Inn Express London - Croydon is in the centre of Croydon, next to the Centrale Shopping Centre. It’s a short walk to East Croydon station, where direct trains speed you to London Victoria or London Bridge in 20 minutes. Gatwick Airport (LGW) is also 20 minutes on the train, or 35 minutes by car. You’ll find a tram stop a few steps from the hotel. If you’re in town for a Crystal Palace game, it’s a short drive or bus ride to Selhurst Park Stadium. The hotel's modern, air-conditioned guest rooms are double-glazed to help ensure a good night's sleep. The comfortable lounge bar offers beverages and light snacks. A varied breakfast buffet is served daily, and the hotel has a 24-hour reception. Free high-speed Wi-Fi is available throughout the hotel. This 3-star hotel is situated next to a shopping district, with designer shops, bars and restaurants a few minutes’ walk away. 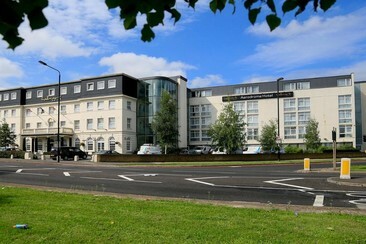 The Hallmark Hotel Croydon is situated on the A23 road, just a 25-minute drive from London Gatwick Airport. East Croydon station offers a 16-minute service to both Central London and Gatwick Airport. There're an elegant brasserie-style restaurant and bar, as well as a business centre and 5 meeting rooms. Guests can enjoy a range of beverages, light meals and snacks in the relaxing lounge bar with a spacious terrace. Each room features an LCD TV and tea/coffee facilities. Rooms also have a private bathroom and a work desk, and all are decorated with colourful modern art. The Hotel offers free fibre optic Wi-Fi and 24-hour front desk. 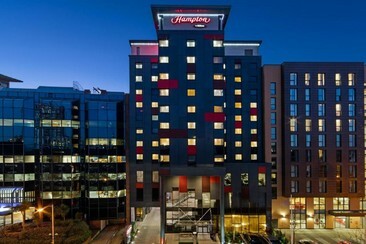 Hampton by Hilton London Croydon is located in a bustling south London suburb, under 5 minutes walk from East Croydon Train Station. Oxford Street, Hyde Park, Tower Bridge, and Wimbledon are less than a 17-minute train ride away. It takes 2 minutes from the hotel to Co-op Supermarket on foot. Rooms at the Hampton by Hilton London Croydon are equipped with free Wi-Fi, air conditioning, coffee/tea maker, iron/ironing board, 32-inch LCD TV, work desk with task chair and the Hampton clock radio, sofa and ottoman, private bathroom with shower only, free toiletries, hairdryer. The hotel offers a 24-hour reception, an on-site gym and bar area.